Reno Omokri has advised girls to stay away from internet fraudsters as he revealed the consequences that come with it. 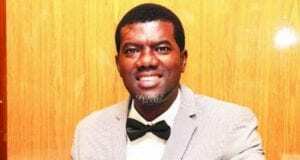 Controversial media personality, Reno Omokri has again revealed the dangers of sleeping with internet fraudsters aka Yahoo boys, warning girls to stay clear of such men. He took to his social media page to reel out in his daily #RenosNuggets.